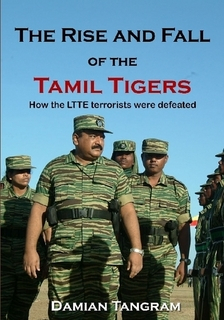 This book offers an accurate and easy to follow explanation of how the Tamil Tigers, who are officially known as the Liberation Tigers of Tamil Eelam (LTTE), was defeated. Who were the major players in this conflict? What were the critical strategic decisions that worked? What were the strategic mistakes and their consequences? What actually happened on the battlefield? How did Sri Lanka become the only nation in modern history to completely defeat a terrorist organization? The mind-blowing events of the Sri Lankan civil war are documented in this book to show the truth of how the LTTE terrorist organization was defeated. The defeat of a terrorist organization on the battlefield was so unprecedented that it has rewritten the narrative in the fight against terrorism.